Indian River, Michigan is home to “The Cross in the Woods,” a local landmark since 1954. The cross in the woods is the the largest crucifix in the world, standing at 55 feet tall. The 28 foot tall figure of Jesus hanging on the cross, weighs seven tons and was one of the largest castings to ever be shipped across the Atlantic Ocean. Like most other attractions, cross in the woods of course has a gift shop. One interesting item for sale, are these “Mrs. 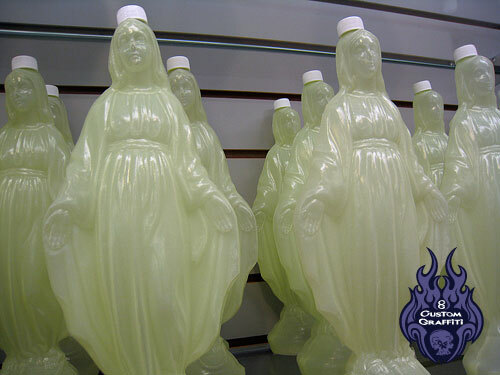 ButterWorth’s” looking bottles of the “Virgin Mary.” I’m not Catholic, so not sure what this is used for? 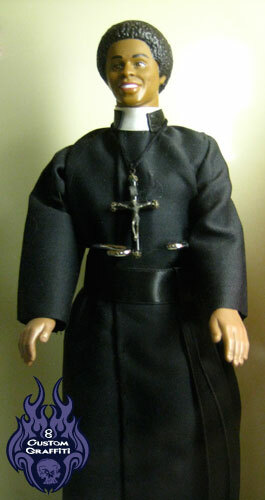 Also at this same location is a doll museum of religious figures, that is kinda creepy! 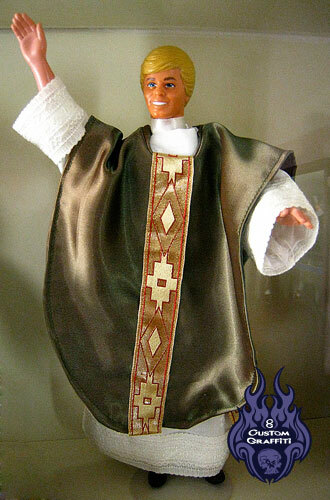 The best part of the museum collection are the priest dolls made from 70’s toy action figures, Ken (Barbie), “The Fonz” and “Mork.” Yes, “Father Fonzie” and “Father Mork.” Awesome!